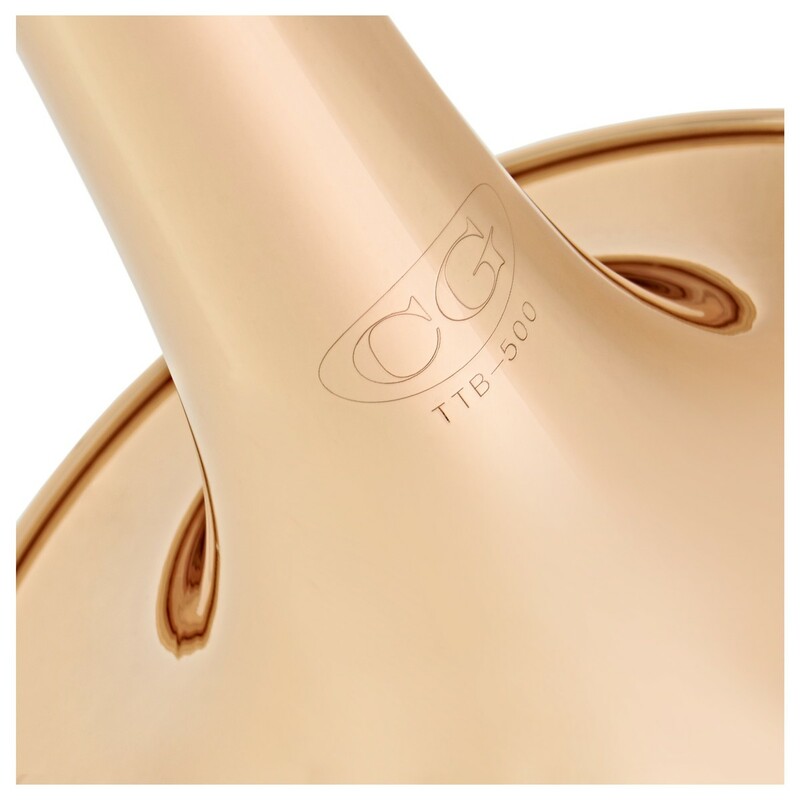 The Coppergate Intermediate Bb/F Tenor Trombone is a superb quality trombone for advancing players featuring a gold lacquered finish and a cupronickel sleeve. 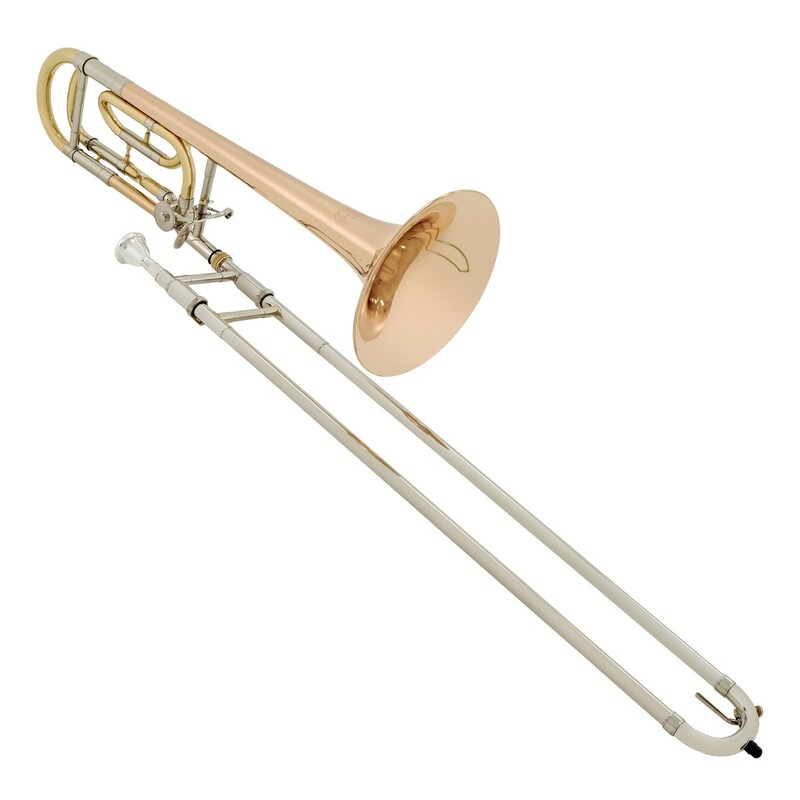 A great all round trombone suitable for Brass Band, Orchestral and Jazz playing. 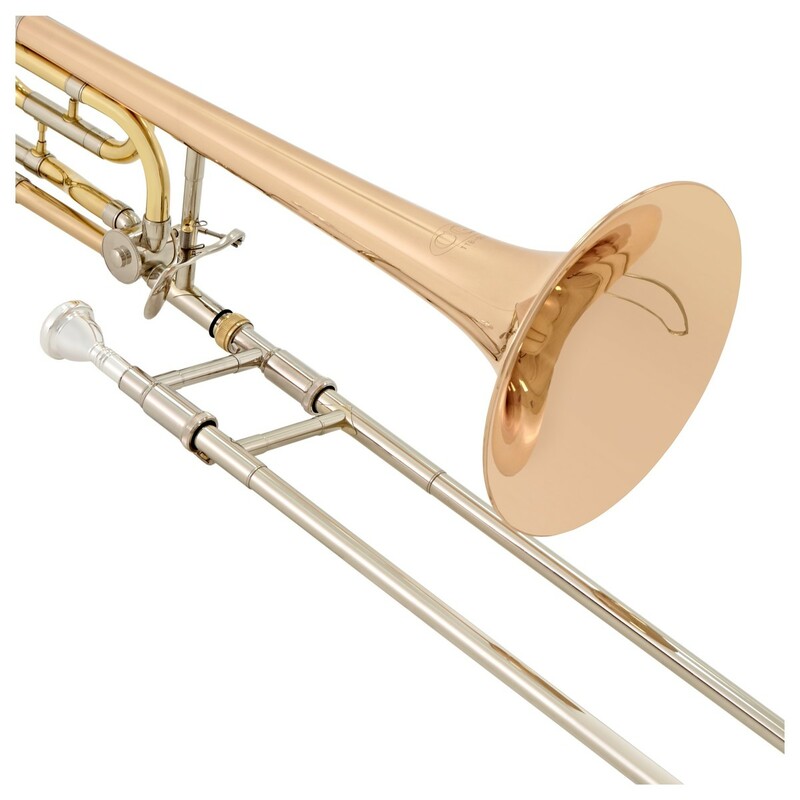 The Coppergate Bb/F Tenor Trombone provides a sound, tone and build quality that is unbeatable at this price point. 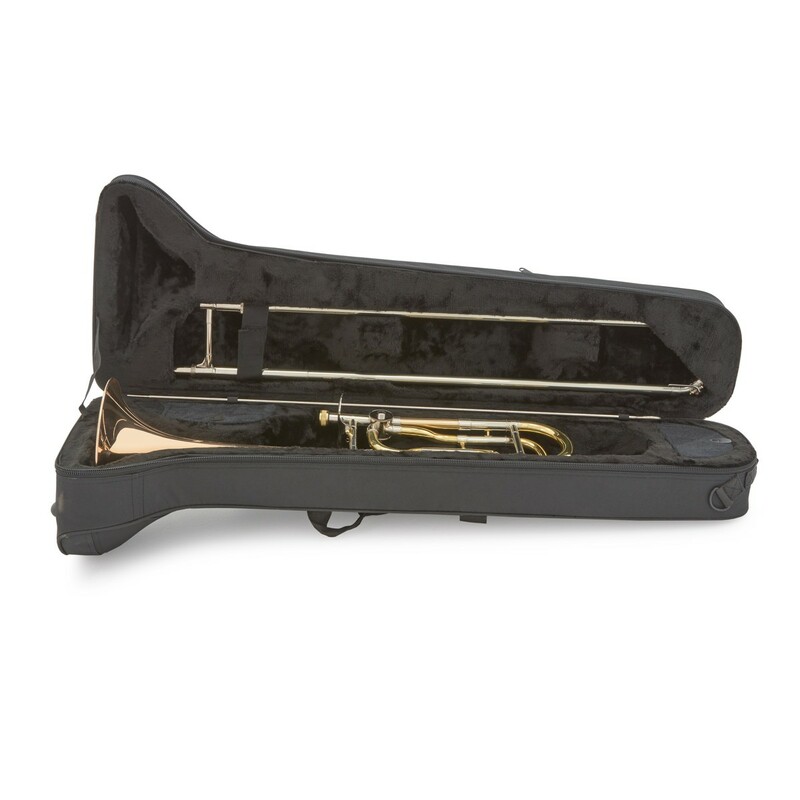 This intermediate trombone is a great all-rounder, suitable for Brass Band, Orchestral or Jazz playing. The 215mm Gold Brass Bell produces a warm but direct sound, perfect for nestling into an ensemble sound, but also great for cutting through for solos. The Trombone features a traditional closed wrap style trigger system, allowing the it to be transposed from Bb into F without compromising on space or sound, making it ideal for orchestral pits, or any tight spaces that player finds themselves playing in. 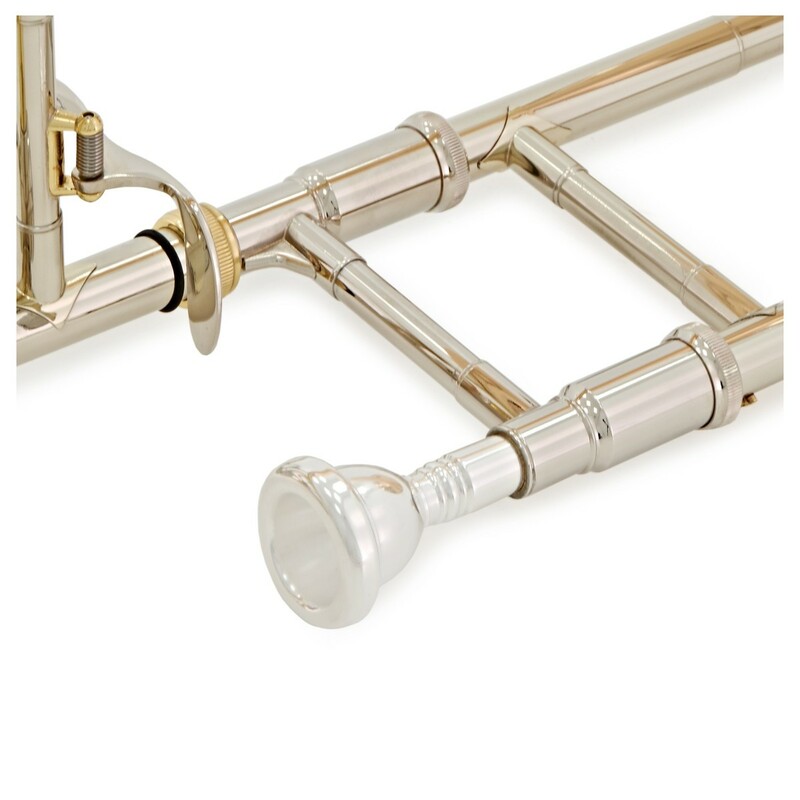 The high quality, corrosion resistant cupronickel slides make the Coppergate trombone a versatile instrument that is ideal for playing both light and intricate passages and well as deeper, melancholy lines. 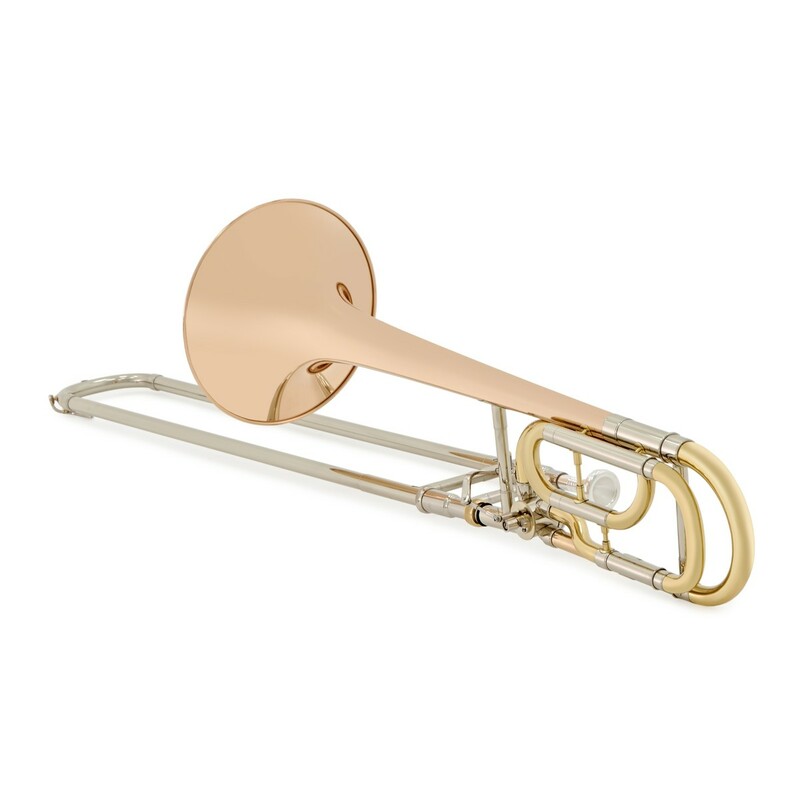 The Coppergate intermediate Bb/F trombone comes with everything a you need to get playing straight away. 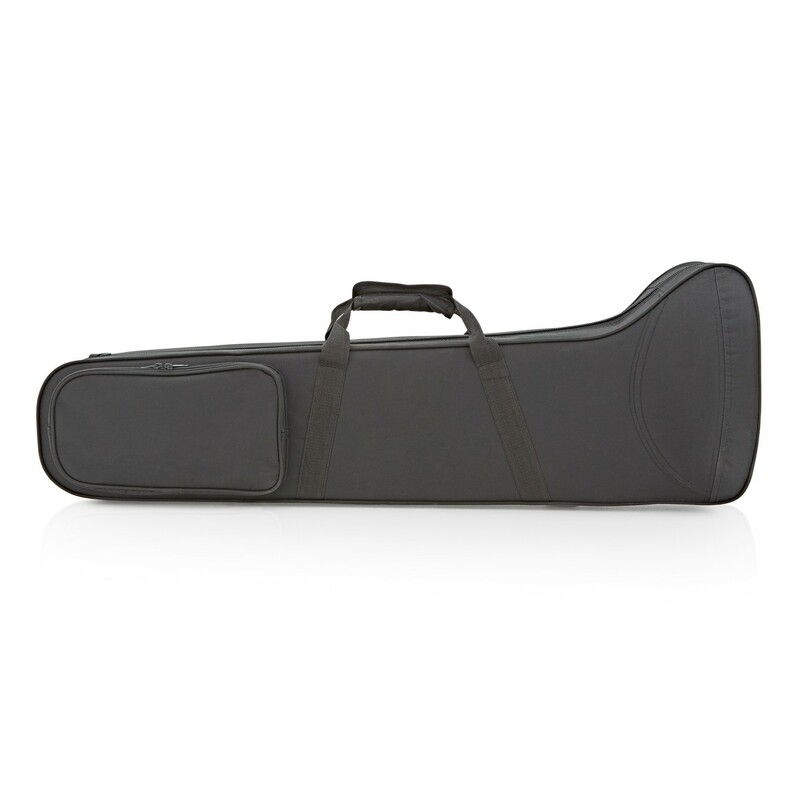 The included mouth piece and hard to find fitted hard foam case means you are able to transport your instrument with ease and instantly start practising and performing.